Group of ten photos and one small photo book. 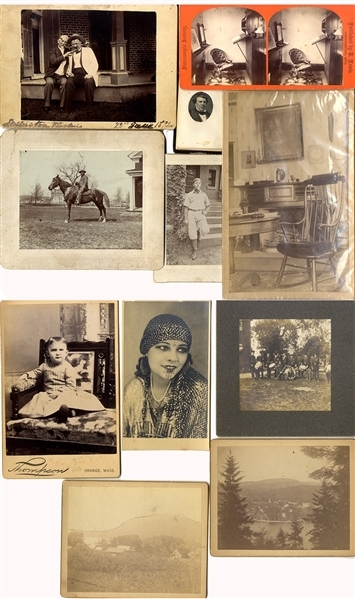 Various images from sepia tone photographs to stereoviews. Albumen contains small albumen images probably cut from carte de visites. Very good condition.